From jazz to soul, folk to gospel, Janice M fuses a range of genres in her own inimitable vocal style. Classic and contemporary, she draws on the legends of Ella Fitzgerald and Nat King Cole as well as Diana Krall, Harry Connick Jr, Amy Winehouse, Liane Carroll and Melody Gardot. 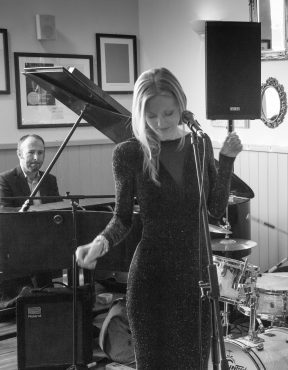 Chilled, smooth jazz with a soulful feel, mixed with Latin beats and a French twist, Janice, performing alongside the talented Richard Penrose on keys, is sure to warm, excite and delight.